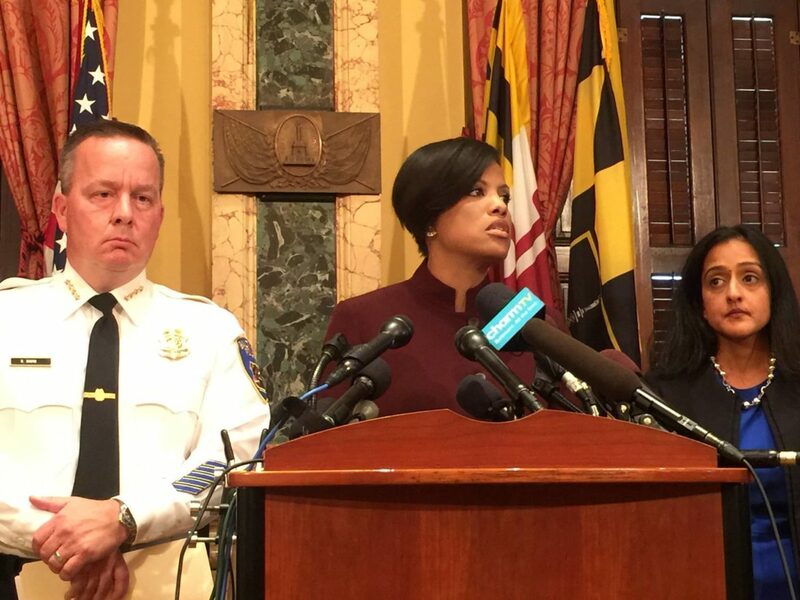 Reacting to the release of the Justice Department report in 2016: then-Baltimore Police Commissioner Kevin Davis, then-Mayor Stephanie Rawlings-Blake, and Vanita Gupta, head of the Civil Rights Division. Reacting to the release of the Justice Department report: Baltimore Police Commissioner Kevin Davis, Mayor Stephanie Rawlings-Blake, and Vanita Gupta, head of the Civil Rights Division. That searing U.S. Department of Justice report on Baltimore’s police agency revealed an ugly truth we’d rather sweep under the rug. There is historic, deep-seated racism in what’s been labeled Charm City and it presents itself most hurtfully in city law enforcement. What’s clear is that there are two Baltimores – one white, fairly prosperous and contented; the other black, impoverished, crime-ridden and desperate. The DOJ report laid it out in uncompromising terms. Historic racism led to policing that focuses almost exclusively on black Baltimore. Racism helped create systemic practices that are unconstitutional, violent and discriminatory. No wonder the city’s black community expresses so much fear, hostility and anger. Everyone who cares about Maryland’s largest city and its lone urban center should read parts of this report, especially the concise executive summary and early chapters on Baltimore’s perilous situation. The DOJ pulls no punches. It uses facts we don’t want to hear to explain how we got in this dreadful predicament. Some black critics are using the report to engage in an unhelpful blame game. Their protests outside the Maryland Fraternal Order of Police conference are counter-productive and only increase the “us against them” attitude that could tear the city apart. Others want to vilify former Mayor Martin O’Malley for turning to a zero-tolerance policing strategy in the 1990s, an approach he adapted from New York City’s successful fight on crime. Finger-pointing gets us nowhere. It also is unfair to O’Malley, who as mayor faced unprecedented increases in crime. He tried a new approach, the “broken windows” theory of going after every minor criminal offender and loiterer to get “bad actors” off the streets. What critics conveniently ignore is that this “lock’em up” approach worked, with Baltimore experiencing a dramatic plunge in street crime. O’Malley’s mistake was not converting those short-term gains into a friendlier, long-term community policing strategy. As a result of the DOJ report, O’Malley’s political career took a major hit. He continues to defend zero-tolerance policing as a legitimate response in the 1990s to unrelenting crime in the poorest sections of Baltimore. What this means in the current presidential campaign is that O’Malley’s role as a surrogate speaker for Hillary Clinton may fade away. His chances for a highly visible job in Washington after the election don’t look good, either. But those are secondary concerns. There is, he noted, a tremendous “opportunity to get better” if political and community leaders use the DOJ analysis to make major policing reforms and start addressing underlying causes of Baltimore’s malaise. Davis, Mayor Stephanie Rawlings-Blake and her soon-to-be successor, Catherine Pugh, all have indicated that’s the direction they’re going to take. But one leader has remained distressingly quiet, Gov. Larry Hogan, Jr. He has said nothing about the DOJ report, using the lame excuse he hasn’t read the document. Hogan knows full well what the report found. He is fully informed about Baltimore’s tenuous plight. It’s just that the Republican governor has little interest in diverting state resources to a Democratic stronghold like Baltimore City. That’s been his record to date. The trouble is the police department’s systemic problems and financially strapped Baltimore’s underlying weaknesses can’t be fully addressed without considerable federal and state help. “Baltimore is the largest city in the state of Maryland with a population of approximately 621,000. The Baltimore metropolitan area’s 2.7 million residents make it the nation’s 21st largest urban center. The City’s population is approximately 63 percent African American, 30 percent white, and 4 percent Hispanic or Latino. “While the City hosts a number of successful institutions and businesses, most economic measures show that large portions of Baltimore’s population struggle economically. “Compared to national averages, Baltimore exhibits: lower incomes, with a median household income nearly 20 percent lower than the national average; higher poverty rates, with 24.2 percent of individuals living below the federal poverty level; elevated unemployment, with a rate hovering around 7 percent, and average unemployment rates per month that were 50 percent higher than the national average from 2014 to 2015. “Baltimore also scores below national averages in education: 80.9 percent of the population has graduated from high school, while 27 percent has a bachelor’s degree or higher. In most grades and subjects, the percentage of students below basic proficiency in Baltimore was twice the rate seen in Maryland as a whole. “These socioeconomic challenges are pronounced among Baltimore’s African-American population, owing in part to the City’s history of government-sponsored discrimination. 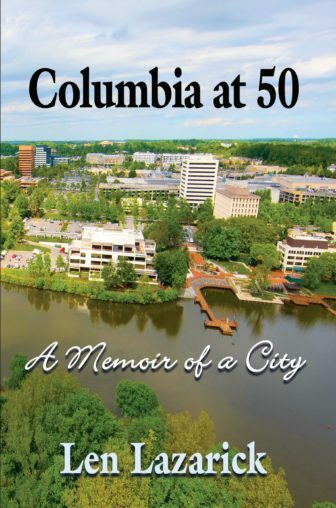 “Schools and many other public institutions in the City remained formally segregated until the 1950s, and stark residential segregation has marked the City’s history. The situation within the city’s police department over the past century and a half has been even more depressing. The DOJ report doesn’t go into that sordid history. After World War II, a half-dozen investigations of city policing found corruption on a massive scale, mismanagement and incompetence. More than a few police commissioners were shown the door. Nothing really changed. No wonder O’Malley turned to a tougher law-enforcement method. But the DOJ report makes clear that only exacerbated racial alienation. Fixing the Baltimore police department’s systemic problems can’t be done without tens of millions of new dollars the city doesn’t have. It will require massive re-training and education of officers, additional staffing and state-of-the-art equipment. That’s where Hogan could make a difference. Baltimore’s limited tax base and underlying poverty means it must depend on greater support from Annapolis (and Washington). Barry Rascovar’s blog is www.marylandreporter.com. He can be reached at brascovar@hotmail.com.